Lamp House Music offers a fun, safe and creative environment for pupils of all ages, in which to develop an understanding and appreciation of music. Tutors who work out of Lamp House Music must be professional, qualified, contemporary, patient, passionate and enthusiastic – everything that a music teacher should be! All are PVG Certified. 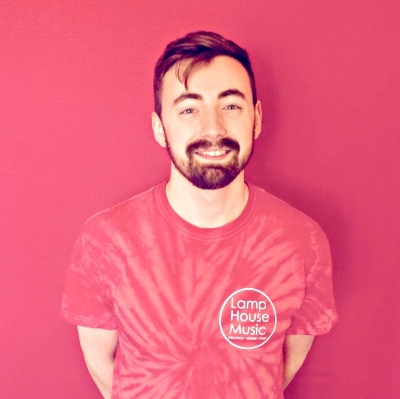 Lamp House Music’s tutors always take into consideration each pupil’s ability, ambitions, learning style and musical tastes – lessons are fun and inspiring but also informative. Should a pupil wish to take gradings or sit music exams, our music tutors are happy to support pupils in this. Whilst the music teachers at Lamp House Music are highly dependable, if a tutor must be absent we will provide cover from another tutor within the team. On an extremely rare occasion where cover is impossible and a tutor can not be provided – payment would not be expected. Callum is an Edinburgh College graduate, with a BA degree in Music. Having played keyboard since 7 years old, Callum also went on to learn guitar and is now an expert in both. In addition he has Grade 8 in Music Theory. Since graduating, Callum has been tutoring pupils privately and also working for the Dads Rock Academy in Edinburgh, assisting children and their parents as they work towards their annual end of year show. As a guitarist and keyboardist, Callum has built a respectable reputation in the industry, working in various genres including blues, funk, hip hop and electronica. Callum has also worked as a guitar tech for bands including Idlewild, created music composition for a computer game and worked at WHALE teaching song-writing to pupils of all ages. Callum plays in an indie/ska band, The Begbies, who have performed at venues and festivals across Scotland. Luke has a BA (Hons) Popular Music from Edinburgh Napier University. He loves to teach music, working on teaching projects around Edinburgh City Centre, in the Glasgow area and has also spent two summers tutoring in the United States. Luke understands that no two students are the same but that passion, learning, determination, enjoyment and achievement are mutual goals for all. Luke studies Guitar with a focus on jazz but he also has a keen interest for folk and contemporary acoustic guitar playing as well as rock/pop/blues electric guitar playing. Luke also studies jazz piano but started out learning and working through the traditional classical piano grades. Luke enjoys exploring popular music theory and performance by putting this to good practical use, as is evident in his one-man variety shows which have had full runs at the Edinburgh Fringe Festivals since 2016 – combining music and magic with theatre and comedy. Garry is a professional musician and tutor, who teaches at various youth workshops and music classes and has lots of experience with both one-to-one and group lessons. Garry graduated from Edinburgh University with a BMus (Hons) Music Technology after having completed a HNC Music Performance at Stevenson College. He has a range of experience in different styles including rock, jazz, folk and classical and he plays lots of instruments including the Guitar, Bass, Piano, Mandolin, Ukulele and Drums as well as the Bagpipes and Whistles. He is also a grade 8 classical singer and former member of the National Youth Choir of Scotland. One of Garry’s passions is musical theory and he enjoys teaching pupils why they are learning, moulding them into great all-round musicians as well as instrumentalists. He plays professionally in a swing band for weddings and corporate functions all over Scotland as well as local venues. Garry is also an experienced Sound Recordist and Live Sound and Lighting Technician. Chris is a professional musician who is experienced in teaching students with a wide range of ages, abilities and social backgrounds. He has taught one-to-one lessons and also facilitated larger group workshops as a specialist youth worker for various organisations in the East Lothian and Edinburgh areas. Chris is competent with numerous music genres, and the theory that goes behind them, including rock, pop and jazz. He plays guitar and sings backing vocals for The Klones, a popular function band in the area, in addition to performing with various bands that write their own original music. 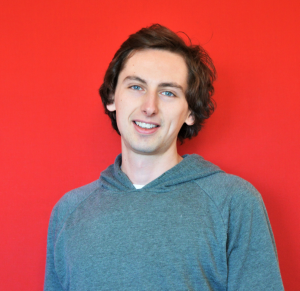 Chris is currently in his fourth year at Napier University, studying on the Popular Music course as a mature student. Fraser is a professional musician and guitar tutor who lives and works in Edinburgh and surrounding areas. Fraser has been playing guitar for over 14 years and graduated from Edinburgh Napier University with a 1st Class Honours degree in 2016. Fraser brings a friendly and enthusiastic approach to his teaching and strives to help each of his students find their own joy in music. He has taught people of all ages to play guitar and has helped students pass SQA and Rockschool exams, pass university auditions, write and perform their own music, understand music theory and learn their favourite tunes! As a professional guitarist, Fraser performs with some of Scotland’s top function bands and with various theatre companies. He also writes his own music and is currently putting together a band to perform his work. Alexandra is an accomplished performer and tutor, having graduated with a first class BMus (Hons) degree from Edinburgh Napier University with first instrument being violin. With experience teaching all ages from complete beginner to advanced, Alexandra caters to the individual’s interests and can’t help but pass on her enthusiasm for music. Alexandra encourages general musicianship in lessons, focusing on technique, active listening and sight-reading. Alexandra’s previous roles have included leader of the Edinburgh Napier Chamber Orchestra, performing as a soloist around Edinburgh, playing as part of chamber groups, giving Violin Masterclasses, as well as teaching privately and at Junior Napier Music. Kari is a highly qualified musician, having been classically trained at the Junior Department of the Royal Conservatoire of Scotland, before going on to achieve a BA in Music & English at Cardiff University and a Post-Graduate Diploma in Jazz Performance from Napier University, Edinburgh. Although Kari enjoys teaching pupils from beginner level, she is an incredibly accomplished musician and is more than able to work with the most experienced of students. Kari herself is primarily a jazz musician but having studied a diverse range in music – from Indian classical music, to salsa, to Welsh folk music and everything else in-between – she is happy to teach all musical genres! Kari also has a theatre background, having studied acting in New York, but music is her first love and she has performed with numerous groups, orchestras and renowned musicians around the world. Having now lived in Edinburgh for several years, and performed there on copious occasions, 2018 saw Kari showcase her own project ‘Cosmic Waltz’ at the Edinburgh Fringe to great acclaim. Morgan completed BMus Degree in Professional Music Performance, specialising in Vocals from The Academy of Contemporary Music in Guildford in 2011. Since then Morgan has been singing and performing professionally in a variety of venues alongside various function bands, playing at parties, weddings and charity events all over the country, Europe and the USA. The subject of performance anxiety interests Morgan greatly and she considers it highly important for performers of all ages and abilities to understand and learn skills and strategies to cope with their own performance anxiety. Lessons with Morgan are fun and relaxed and can cover a wide range of genres from pop to musical theatre and many in between. Focusing on technique, warm up and healthy practice, breathing, posture, performance skills, and microphone technique, she will be able to help pupils strengthen their voice and develop confidence. Lynnette has a BA in Popular Music Performance through Abertay University, with a principle study in Vocals, however Lynnette also teaches piano and flute, and plays guitar, bass and recorder. Lynnette has previously worked with Dads’ Rock Academy and Portobello Music School assisting with individual lessons and overseeing two children’s choirs, for ages 6+. As well as teaching at Lamp House Music, she leads her own mummy-baby choir in Edinburgh. Lynnette’s vocal experience is vastly varied and having sung in many styles – including classical, musicals, rock and pop – Lynnette is happy to teach in a wide array of music genres. Lynnette has also proved her ability to support pupils through graded exams, with a 100% pass rate. With a BA Degree in Popular Music from Edinburgh College, Maria regularly performs in her local area of West Lothian and also in Edinburgh. Maria enjoys all genres of music, in particular jazz and pop, but is happy to teach any style. Maria also has grade 7 Music Theory and although her first instrument is vocals, she also plays a range of instruments including keyboard, drums and guitar. As well as having her own business through which she sings in retirement homes across Scotland, Maria is a singer/songwriter and is currently woking on her first solo album. In addition, Maria also works as an assistant in an after school music club, helping Primary 1s and 2s with their musical skills. Ryan is a passionate and experienced drummer and tutor with many years experience playing for theatre groups, jazz orchestras, and ensembles of all styles. He received his BMus (Hons) in popular music performance through Kingston University, undertaken at Edinburgh College – receiving the Marsden Citizenship award in 2015. 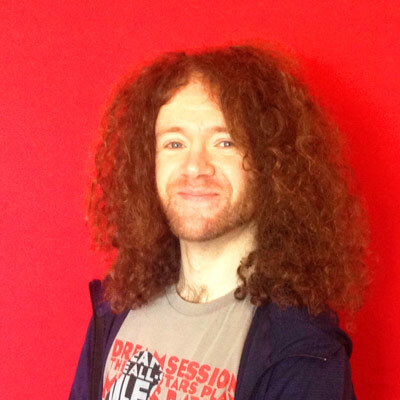 Ryan was involved in the creation of Dad’s Rock Academy in Edinburgh and as such, has taught a wide age range of pupils – always aiming to provide a fun but educational approach to lessons. His specialised styles include funk, latin, afro-cuban, jazz, blues and rock. Extremely motivated and passionate about music (especially drums!) Ryan has performed in bands and projects across the country. Previous experiences include playing over 70 shows in the 2017 Edinburgh Fringe Festival, performing with professional ballroom dancer Tibor Poc, and touring with the Robin Robertson Blues Band. A graduate of Napier University, Simon has been involved with playing music for over 20 years, with many years of experience teaching music from everything from large groups to one to one lessons. Simon has been a drummer with various bands over the years, taking him all over the world. He has played drums at some of the biggest music festivals including Glastonbury, T in the Park and toured supporting the likes of The Charlatans and Eliza Doolittle. His current bands include The Wynntown Marshals, one of Scotland’s top Americana bands, and Bones Carnival – where he is joined by another of our tutors, Chris – and has recorded a new album with producer Rod Jones of Idlewild. Simon works as a drum tutor and professional musician playing with various function and original bands, he is also a live and recording sound engineer. Penny is an experienced music teacher who teaches individuals to a high standard and has an excellent pass rate in Associate Board and Trinity Guildhall examinations. However, making music is firstly about enjoyment for Penny, and therefore exams are an option, not a necessity – Penny’s main aim for all pupils being to pass on her own enthusiasm, love of music and musical creativity. Penny has qualifications in practical music, musical theory, dance and music composition, she plays regularly at wedding ceremonies, as well as being Music Leader and Kirknewton and East Calder Church where she also runs a vocal group who perform each Sunday and at events in the Church Calendar. Samantha studied piano at Napier University and for the past fourteen years has taught piano across all age groups and levels of experience, from beginner to advanced. She has 100% success rate in getting pupils through their ABRSM piano and theory exams and has a particular passion for teaching Beginners – offering them an encouraging and supportive experience as they start their musical jouney. Samantha also trained as an Occupational Therapist, working in the field of Mental Health, and is interested in the connection of music to health and well being. She is enthusiastic about teaching piano to anyone who feels it could be of therapeutic benefit to them within their current life circumstances. 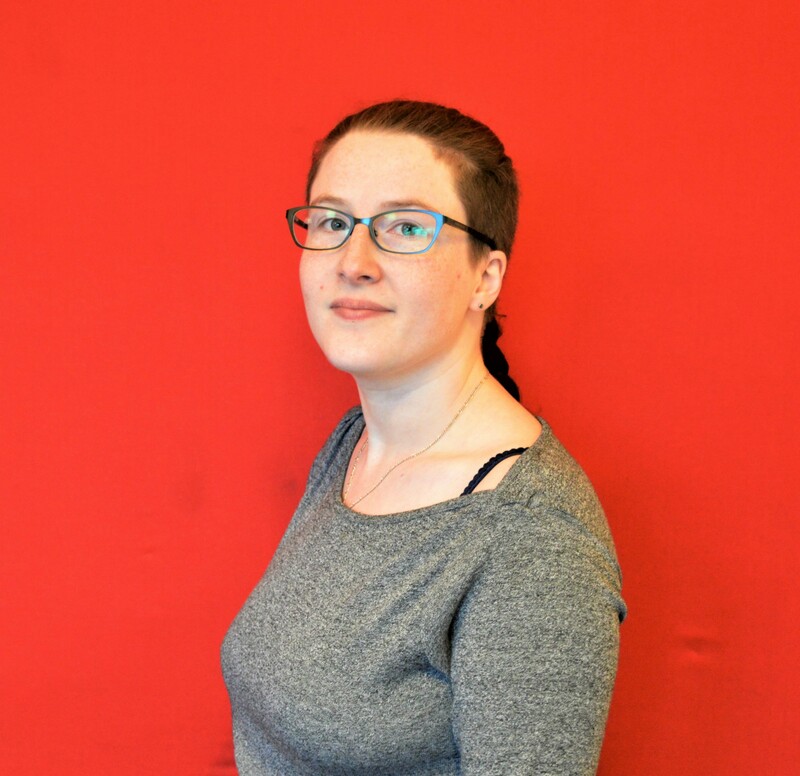 Samantha is based at Lamp House Music during the day, and as such is particularly suited to teaching adults. Elaine is an experienced tutor who qualified from The Royal College of Music in Dublin in both Piano and Violin. She has taught both instruments for pleasure and at exam level for many years. Elaine has both a Traditional and Classical background being an “All Ireland Ceol Slogadh” bronze medallist whilst also playing within many ensemble/groups in schools and with The Galway Youth Orchestra. Elaine enjoys teaching at all levels and believes that her lessons should be a relaxing experience which is enjoyable and fun and brings out the best in her pupils. Elaine is based at Lamp House Music during daytimes, therefore is particularly suited to adults and home schooled children who are looking for daytime lessons.